“Judge not, that you be not judged. For with the judgment you pronounce you will be judged, and with the measure you use it will be measured to you. Why do you see the speck that is in your brother’s eye, but do not notice the log that is in your own eye? Or how can you say to your brother, ‘Let me take the speck out of your eye,’ when there is the log in your own eye? You hypocrite, first take the log out of your own eye, and then you will see clearly to take the speck out of your brother’s eye” (Matt. 7:1-5). The Bible doesn’t forbid loving correction; it forbids premature and improper correction. Before you talk to others about their faults, Jesus wants you to face up to yours. Once you have dealt with your contribution to a conflict, you may approach others about theirs. As you examine your role in a conflict, it is helpful to look for two types of fault. First, you may have an overly sensitive attitude, which causes you to be offended too easily by others’ behavior. Second, you may have contributed to the conflict through your own sinful behavior. With all humility and gentleness, with patience, bearing with one another in love (Eph. 4:2; cf. Prov. 19:11; 1 Peter 4:8). If you have an overly sensitive attitude, you need to overlook minor offenses. “Overlooking offenses is appropriate under two conditions. First, the offense should not have created a wall between you and the other person or caused you to feel differently toward him or her for more than a short period of time. Second, the offense should not be causing serious harm to God’s reputation, to others, or to the offender” (Ken Sande, The Peacemaker, 83). Remember the Golden Rule: “Whatever you wish that others would do to you, do also to them” (Matt. 7:12). Confess your sins to one another and pray for one another (James 5:16). If you are guilty of sinful behavior, you need to confess it. Ken Sande lists seven A’s of confession: (1) address everyone involved; (2) avoid “If,” “But,” and “Maybe”; (3) admit specifically; (4) acknowledge the hurt; (5) accept the consequences; (6) alter your behavior; and (7) ask for forgiveness (and allow for time). 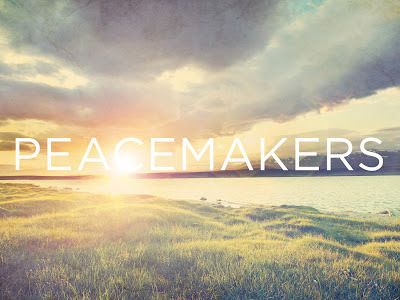 Remember the Golden Result: “People will usually treat us as we treat them” (Ken Sande, The Peacemaker, 78).